Every North Korean is required to wear one, but where did they come from and how did it all start? 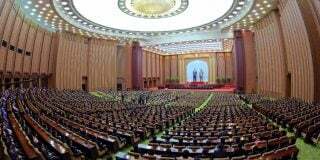 SEOUL — Despite ideological promises, the state is no longer able to provide much in North Korea; except, that is, the leadership loyalty badge that is the required accessory for most—if not all—North Koreans. 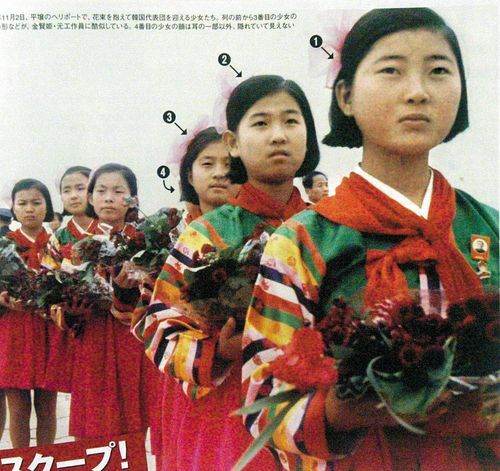 “Some younger North Koreans use the badges as a fashion statement. I remember that in the 1980s it was fashionable among Korean youth to clip the badge to the very edge of their dress. And we know from the tales of defectors that the badges are frequently an integral part of the latest fashion craze,” Andrei Lankov notes in his 2007 book North of the DMZ. Portrait badges of the Kim family vary in type or size, each one symbolizing a different generation or social status for the bearer. They are usually worn on the left hand side of jackets or inner garments—close to the heart—but never on coats or outer garments. Each individual, on average, possess 2 or 3 badges but some even have more. 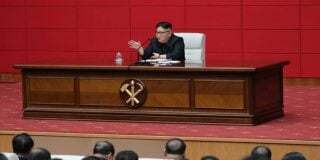 Non-North Korean citizens are not supposed to receive badges but, on occasion, those with connections or potentially misguided sympathies with the government have been awarded for their loyalty. North Koreans who lose their badge can be subjected to some serious punishment. 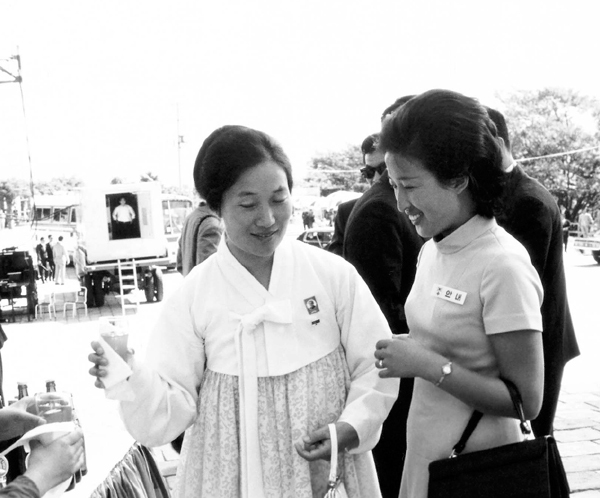 The first portrait badges were produced and disseminated by the North Korean Propaganda and Agitation Department following a decree by Kim Il Sung in 1970. Those badges showed a stern-looking portrait of Kim Il Sung with his mouth firmly closed, were generally unpopular among the masses and only worn by high-ranking or Party officials. These badges therefore became known as “Party Badges”. Once a valuable object symbolizing power and status, ordinary citizens aspiring to positions of power would—at one time— purchase the badge illegally. Over the years, its value has dropped significantly. These badges began to be distributed more widley after Kim Il Sung’s 60th Birthday in 1972 whereby, that April, most North Korean adults started to wear the Kim Il Sung badge on their chest. One of the earliest known photographs to show the Kim Il Sung loyalty badge appeared in this 1972 edition of the Yomiuri weekly. 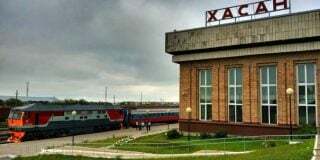 The very first “double badge”, where both Kim Il Sung and Kim Jong Il are against the background of a large red banner, was actually produced in the 1980s, despite a contemporary equivalent only emerging reccently. A Kim Jong Il badge was produced in 1992 to mark his 50th birthday but, due to his reported disapproval of being idolized to the same extent as his father (from whom he derived his legitmacy) only a small number of party officials chose to wear them. By the year 2000, however, the average citizen could occasionally be spotted wearing the Kim Jong Il badge in public. After the death of Kim Il Sung, his badge was redesigned by the Mansudae Art Studio so as to show a smiling portrait of Kim Il Sung — this is the badge most North Korean watchers will have been familiar with until the new “double badges” were distributed in 2012 following Kim Jong Il’s death. After Kim Jong Il’s death in December 2011, it became a trend amongst the Party elite to wear both a Kim Il Sung and Kim Jong Il badge as a mark of respect before the new “double badge” was created. 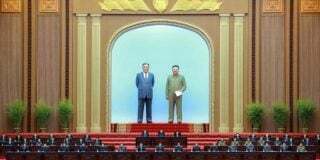 From April 2012, the North Korean government introduced the new “double badge”, which included the offical portraits of Kim Jong Il and Kim Il Sung together. 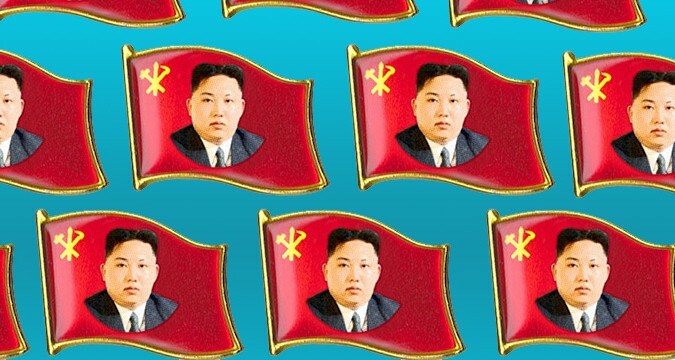 Although impossible to confirm, there are rumours suggesting that two kinds of Kim Jong Un badges were created in late 2012 — circular ones and flag-shaped ones. The badge is preportedly only worn only by top officials of North Korean security agencies but is expected to be distributed nationwide soon. Hyowon Shin (@hyowonshin) is an NK News staff reporter in Seoul and a Master's student at Yonsei Graduated School of International Studies.